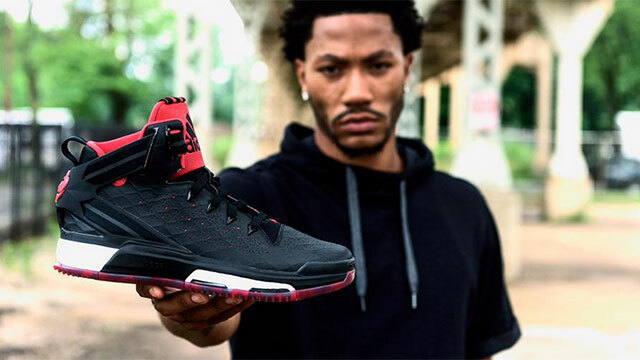 Gents, meet the D.Rose 6.
adidas' 13-year, $200 million dollar offer to Houston Rockets guard James Harden might have been grabbing headlines lately, but the brand's original poster child has subtly reminded fans that he's still on board. What's good Facebook? Wanted to give you guys a little preview of the adidas Basketball D Rose 6, dropping this fall. Let me know what you think! Details have yet to be released, but besides another sick signature shoe, another thing worth noticing in the photo is Rose's straight face, which is reminiscent of his deadpan expression after hitting that game-winning three-pointer last playoffs. And if that's any indication, we're assuming this pair will no doubt kill on the hardwood.